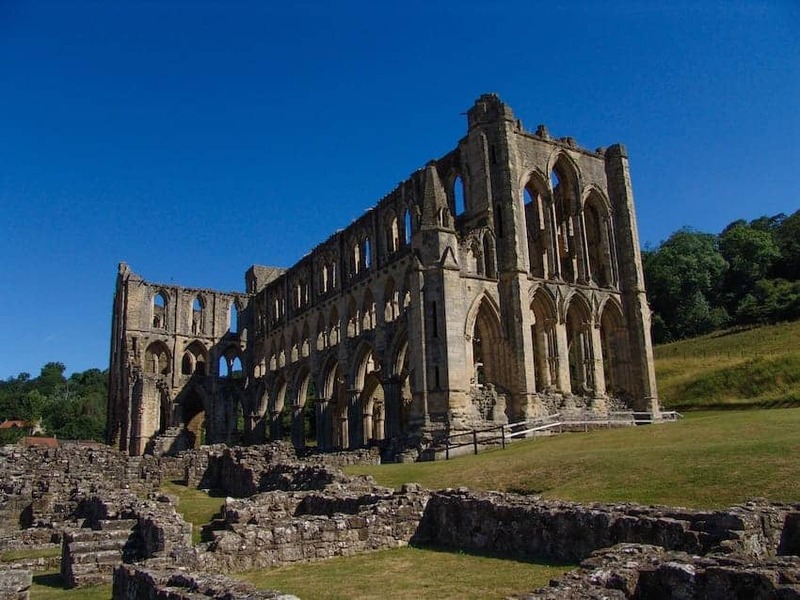 Rievaulx Abbey was founded in 1132 by twelve monks from Clairvaux Abbey as a mission for the colonisation of the north of England. It was the first Cistercian abbey in the north and became one of the great Cistercian abbeys of Yorkshire. It lies in a wooded dale by the River Rye. The monks used their technical ingenuity to divert part of the river to the west in order to have enough flat land to build on. By the time the abbey was dissolved by King Henry VIII in 1538 there were reported to be 72 buildings and Henry ordered the buildings to be rendered uninhabitable and stripped of valuables.